Actual patient. Treated with 0.5 mL Restylane Lyft in each cheek, and 1 mL Restylane Lyft in each nasolabial fold. 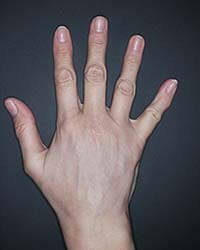 4 weeks after treatment. Individual results may vary. Actual patient. Treated with 1 mL Restylane Lyft in each cheek, 0.8 mL Restylane Silk in the lips, and 1 mL Restylane Refyne to marionette lines. 3 weeks after treatment. Individual results may vary. Actual patient. Treated with 2 mL Restylane Lyft in each cheek. 3 weeks after treatment. Individual results may vary. Actual patient. Treated with 1 mL Restylane Lyft in each cheek, and 0.5 mL Restylane Silk in the lips. 3 weeks after treatment. Individual results may vary. Actual patient. Treated with 1 mL Restylane Lyft in each cheek. 2 weeks after treatment. Individual results may vary. Actual patient. Treated with 0.5 mL Restylane Lyft in each cheek. 3 weeks after treatment. Individual results may vary. Actual patient. 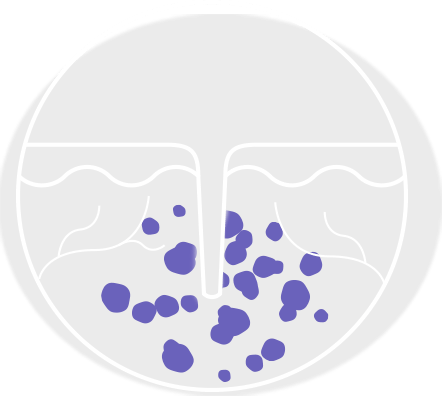 Treated with 1.5 mL Restylane Lyft in each cheek, and 1.5 mL of Restylane Lyft in each nasolabial fold. 2 weeks after treatment. Individual results may vary. Treated with 4 mL Restylane Lyft in cheeks, 3 mL Restylane in nasolabial folds and marionette lines, and 2 mL of Restylane Silk in lips and perioral rhytids. 1 week after treatment. Treated with 3 mL Restylane Lyft in cheeks, 3 mL Restylane in nasolabial folds and marionette lines, and 1 mL of Restylane Silk in lips and perioral rhytids. 5 weeks after treatment. Treated with 1.7 mL Restylane Lyft in the midface and nasolabial folds and 1.6 mL of Restylane in nasolabial folds, marionette lines and oral commissure. 4 weeks after treatment. Treated with 1 mL Restylane Lyft in the midface, 1 mL of Restylane in the nasolabial folds, and 0.7 mL of Restylane Silk in lips and perioral (lip) lines around the mouth. 3 weeks after treatment. Treated with 2 mL Restylane Lyft in the midface and nasolabial folds, 1 mL of Restylane-L in nasolabial folds and marionette lines, and 1 mL of Restylane Silk in the lips. 3 weeks after treatment. Treated with 1 mL of Restylane Silk in the lips and perioral (lip) lines around the mouth. 10 weeks after treatment. Treated with 1.5 mL of Restylane Silk in the lips and perioral (lip) lines around the mouth. 10 weeks after treatment. Treated with 2.3 mL of Restylane Silk in the lips and perioral (lip) lines around the mouth. 10 weeks after treatment. Treated with 2 mL of Restylane Silk in the lips and perioral (lip) lines around the mouth, and 1 mL Restylane-L in nasolabial folds. 4 weeks after treatment. Treated with 2 mL of Restylane Silk in the lips and 1 mL of Restylane in the nasolabial folds and marionette lines. 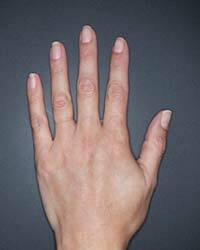 4 weeks after treatment. Treated with 2 mL Restylane Silk in the lips and perioral (lip) lines around the mouth and 2 mL Restylane-L in the nasolabial folds. 5 weeks after treatment. Treated with 2 mL Restylane Silk in the lips and perioral (lip) lines around the mouth. 2 weeks after treatment. Actual patient. 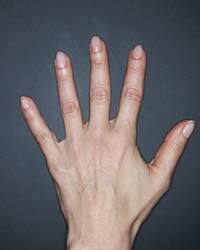 Treated with 1 mL Restylane Lyft per hand. 4 weeks after treatment. Individual results may vary. Actual patient. 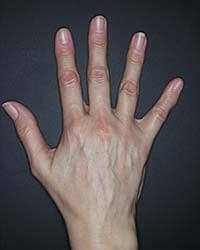 Treated with 1 mL Restylane Lyft per hand. 3 weeks after treatment. Individual results may vary. Actual patient. 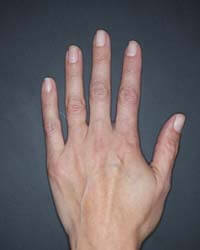 Treated with 3 mL Restylane Lyft per hand. 3 weeks after treatment. Individual results may vary. Actual patient. 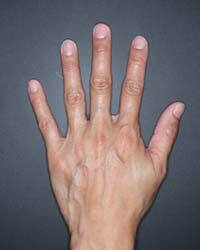 Treated with 3 mL Restylane Lyft per hand. 2 weeks after treatment. Individual results may vary. Treated with 1.0 mL Restylane Defyne in the nasolabial folds, 1.0 mL Restylane Refyne in the marionette lines, and 2.5 mL Restylane Lyft in the cheeks. 2 weeks after treatment. Treated with 1.0 mL Restylane Defyne in the nasolabial folds and 1.0 mL Restylane Defyne in the marionette lines. 2 weeks after treatment. Treated with 1.5 mL Restylane Refyne to nasolabial folds and 1.0 mL Restylane Refyne to marionette lines. 2 weeks after treatment. Actual user. * Individual results may vary. 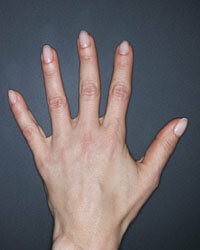 Treated with 3 mL Restylane Lyft in the back of the hands with a 2 mL touch up. 4 weeks after treatment. *User = clinical study subject. Treated with 3 mL Restylane Lyft in the back of the hands with a 1 mL touch up. 4 weeks after treatment. 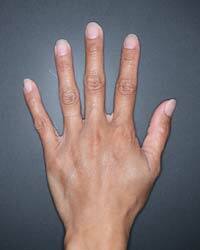 Treated with 3 mL Restylane Lyft in the back of the hands. 4 weeks after treatment. The Restylane® line smooths away facial wrinkles and folds (Restylane,2 Restylane Lyft,3 Restylane Refyne,4 Restylane Defyne,5) provides subtle lip enhancement (Restylane,2 Restylane Silk,6) smooths the lines around the mouth (Restylane Silk6) adds lift and volume to the cheeks (Restylane Lyft3) and helps reverse the signs of volume loss in the back of the hands (Restylane Lyft3). 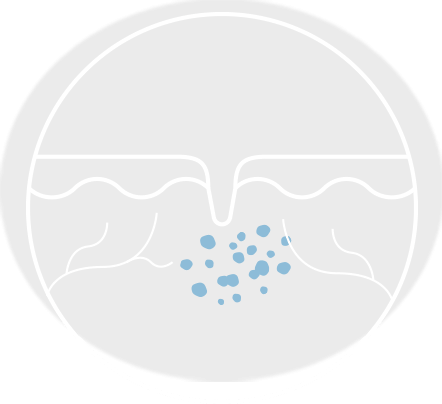 frown lines between the eyebrows and collagen stimulation. Refyne and Restylane Defyne patients. Data on file. Galderma Laboratories, L.P., 2016. Restylane. Instructions for Use. Galderma Laboratories, L.P., 2016. Restylane Lyft. Instructions for Use. Galderma Laboratories, L.P., 2018. Restylane Refyne. Instructions for Use. Galderma Laboratories, L.P., 2016. Restylane Defyne. Instructions for Use. Galderma Laboratories, L.P., 2016. U.S. Food & Drug Administration. Medical Devices, Restylane Lyft with Lidocaine - P040024/S099. https://www.fda.gov/ MedicalDevices/ ProductsandMedicalProcedures/ DeviceApprovalsandClearances/ Recently-ApprovedDevices/ ucm609592.htm. Accessed on May 18, 2018. Cohen JL, Dayan SH, Brandt FS, et al. Systematic review of clinical trials of small- and large-gel-particle hyaluronic acid injectable fillers for aesthetic soft tissue augmentation. Dermatol Surg. 2013;39(2):205-231. Data on file. 05DF1502 Clinical Study Report. Fort Worth, TX: Galderma Laboratories, L.P., 2016. Data on file. MA-32418 Study Report. Fort Worth, TX: Galderma Laboratories, L.P., 2016.